Family and friends may call at the Amos Carvelli Funeral Home, 201 Edison Street, Nutter Fort, on Sunday from 12:00 Noon to 8:00 p.m. where the service will be held on Monday, April 8, 2019 at 12:00 Noon with Reverend Dr. Michael Hopkins presiding. Interment will follow in the West Virginia National Cemetery, where full military graveside rites will be accorded. 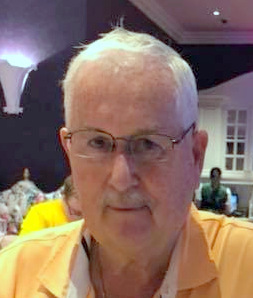 James D. “Jim” Smith Jr., age 73, of Bridgeport, WV, passed away on Tuesday, April 2, 2019, at the United Hospital Center, following an extended illness. He was born in Clarksburg, WV, on September 2, 1944, a son of the late John and Emma Belle Howell Morton. Jim was married on May 2, 1968, to Patty Austin Smith, who resides at their home in Bridgeport. Also surviving are one son, James J. Smith of St. Augustine, FL; two daughters, Beverly “BJ” Talkington and husband Michael of West Milford, and Jacqueline “Jackee” Pryor of Bridgeport; six grandchildren; two brothers, John Morton of Bridgeport, and Jack Morton of Summit Park; one sister, Sandra Barrick and husband Roger of Hilton Head, NC; as well as several nieces and nephews. Jim graduated from Victory High School in 1962, and went on to graduate from Salem College. He served our country as a veteran in the U.S. Army during the Vietnam War. He was a C.P.A. starting the firm James D. Smith Accounting, which later became Smith Denny and Alastanos PLLC. He was also the founder and president of Precision Coil and a board member of MGIP. Jim had an amazing memory from “hell” especially with numbers. He had a passion for bowling and started working at the age of 16 at Compton Lanes, and in 2011 became the owner and operator. Jim was a member of the Meadbrook Children’s Charity, Knights of Columbus, the Harrison County Chamber of Commerce, and was former Harrison County Commissioner. He was a former board member of CENTRA Transit, and Harrison County Development Authority. He loved playing golf and was a member of the Bridgeport Country Club as well as Pete Dye. He was also a member of the Airport Authority, and served on the Board of Mid-Atlantic Aerospace. He was an avid fan of all WVU sports, but above all he had a deep love for his family. He was a philanthropist always giving back to his community. In lieu of flowers, memorial donations may be made to Medbrook Children’s Charity, P. O. Box 1021, Bridgeport, WV 26330.